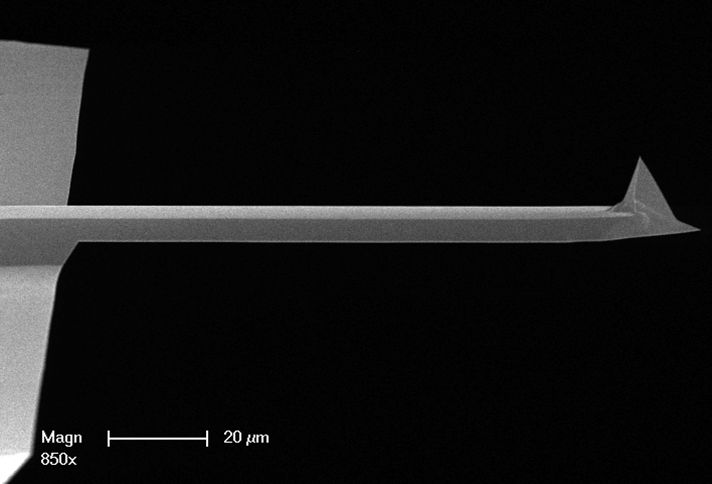 Bruker's Value Line etched silicon probes for imaging in TappingMode™ and non-contact mode in air, with reflective coating. This probe is also available without Aluminum reflex coating as model NCHV. 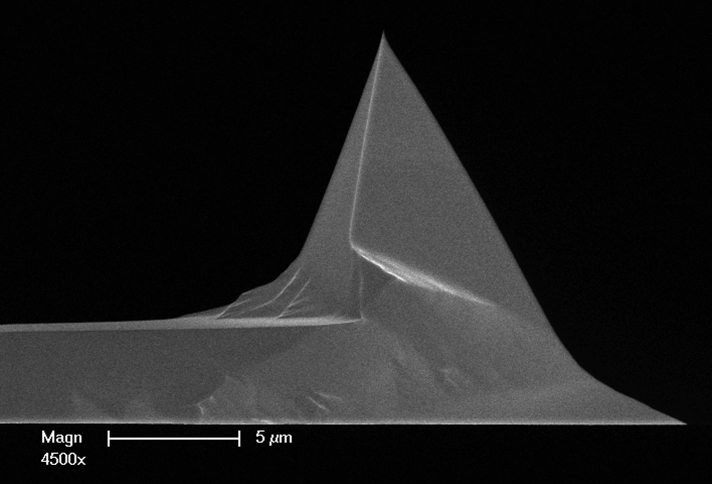 - 40N/m, 320kHz, Al Reflective Coating.